The art of painting on canvas various designs, patterns, screens, and borders often are used as floor decor. 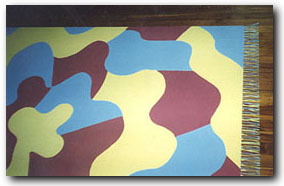 Usually a durable canvas, hand-painted, floor cloths are then sealed with a urethane finish. 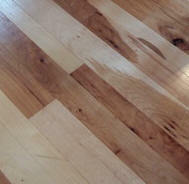 This technique is the predecessor of vinyl's and other flooring materials sporting designs and colors. Borders, checks, patterns and animal skins are popular designs as well as designs that mimic today's oriental carpets.